Back on June 9 of this year a very popular well-known Manchester man, Jerry Bartlett died in a tragic motorcycle accident near Dalton, GA.
Bartlett is the former pharmacy director at Unity Medical Center (formally Medical Center of Manchester). 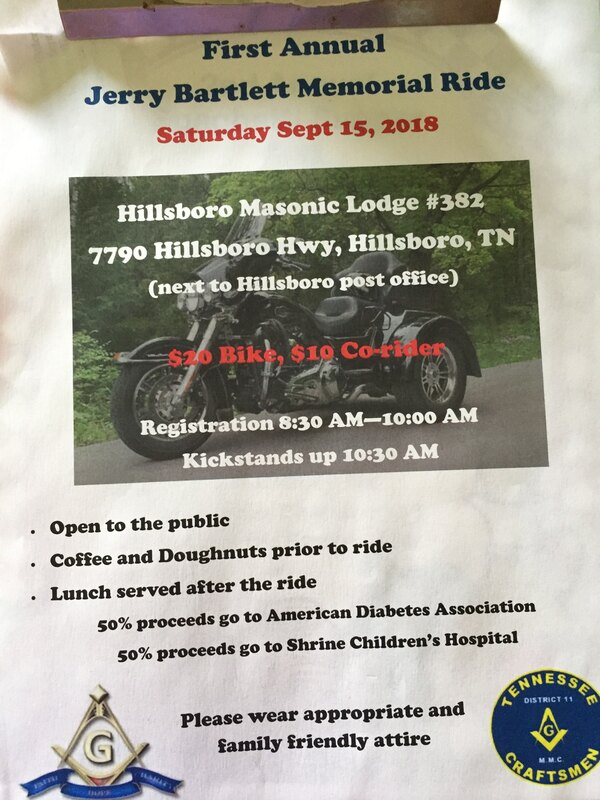 Members of the Hillsboro Masonic Lodge #382 and others will be conducting the first Jerry Bartlett Memorial Ride this Saturday at 10am beginning at the Hillsboro Lodge next to the post office. 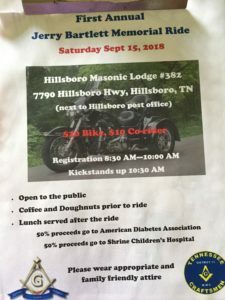 The cost is a donation of $20 per bike and $10 extra for co-riders. Registration starts at 8:30 at the lodge. This is open to the public. 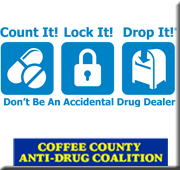 Coffee and doughnuts will be served before the ride and lunch after the ride is complete.